If your business has PCs wired to a server you are probably spending far too much. Some surprises are found in this report! We'll let you guess. Which is less expensive: wired or wireless networks? A WMS (Warehouse Management System) isn't only for "Big Business." Smaller businesses can enjoy the benefits of an enterprise inventory, shipping, receiving, and picking solution without destroying their budget. Symbol's MC9000 series terminals can handle nearly any environment you throw at it. If you have gorillas in your warehouse or a desert sandstorm to deal with - this terminal was built for you. >> War Of The Worlds - Or Your Data On Steroids? The possibilities are virtually the same as those with barcodes. Several closed-loop applications can speed your data acquisition and pilot future uses. See it in our RFID section. No matter what your business we have a scanner to fit your needs. Hand-held, hands free, fixed mount, in-counter, CCD, Laser, wand, etc. Use our software to program your scanner and our cables to connect to nearly any device. The CN30 establishes a new standard for retail enterprise mobile computing that maximizes flexibility, optimizes ROI and results in lower investment and supporting costs. Based on a compact modular concept that allows the user to change configurations according to user preference or application requirements, the CN30 features the most forward-looking industry standards and component selection that leads to the highest possible application versatility. 802.11b and bluetooth allow you to take your receipt to your customer. Built with Epson's famous quality and reliability, the Mobilink is designed to meet the needs of both retail and hospitality for high-speed, on-the-go thermal receipt printing. You would like to use the power of mobility at numerous small branch offices to increase productivity. You are looking for a wireless LAN that will provide the robust functionality found in large enterprises, priced for a smaller environment. MSA Systems has a solution for you. >> Cisco Bridge + AP! In days gone by you had to get a separate AP for bridging Cisco wireless networks. No more! 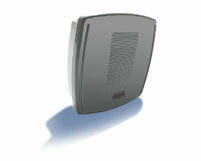 The 1300 outdoor access point and bridge is a flexible wireless option. At BaxTek we understand that wireless can be confusing. We have a number of tools that can assist your business in making choices that fit. One of these is a matrix showing you how to get the most out of us - to make the most out of you. Call us for your customized quote. Click here to unsubscribe from the BaxTek Solution newsletter.